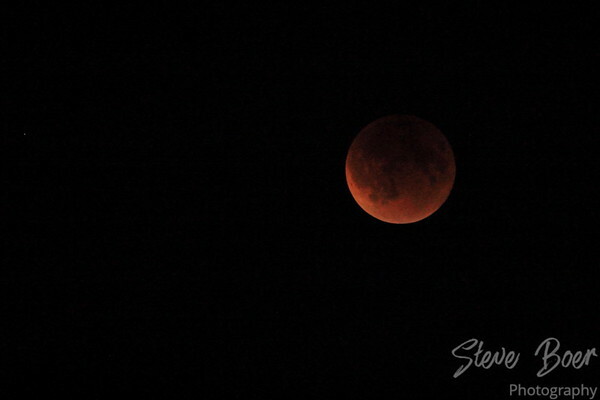 My best shot during totality of the super blood moon lunar eclipse last night, Sept 27, 2015. I shot this with my 100-400 lens handheld at 1/15, laying in sniper pose to minimize shake. Yeah I was worried because it had been cloudy and rainy during the day, but it cleared right up around 6. Amazing hand held. There’s no way I could hand hold a camera with a lens that big and get such a clear shot. Well done! !